These 36 students were able to fund many of their expenses while they study in their colleges or universities. There are currently four students from Mexico, 10 from Chile, 12 from Guatemala and 10 from Colombia that receive these LifeNets scholarships. As these students graduate, other students take their place. So far, eight student recipients of the LifeNets scholarships have graduated and are now employed. Among the careers of these students are some in the fields of medicine, law, architecture, agriculture, graphic arts, teaching and engineering. In order to qualify for these scholarships, students must first fill out the LifeNet forms and turn them in to their ministers where these are processed in their respective countries and yearly reports are sent to the LifeNets offices. Once they are accepted, they receive a monthly amount during their school year to help pay for their books, transportation and tuition. In order to continue to receive these scholarships, they must keep their grades up, regularly attend church services and be a good example. These students are so grateful and we receive many of their letters of appreciation which are sent to the LifeNets offices. 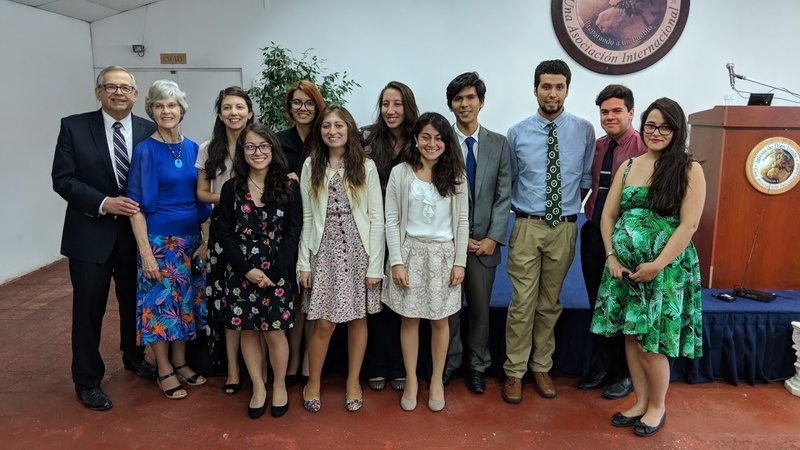 These scholarships have been a great blessing to the UCG churches in Latin America where most members suffer economic hardship. Also, many of these LifeNets recipients, as they graduate and find good jobs, are turning out to be the new generation of Church leaders. In 2018 126 students around the world received $100,465 in scholarships from the LifeNets Scholarship Fund.